Brrrr......it's cold out there this morning. 8 degrees. 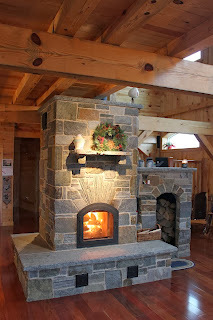 It would be a great day to be sitting next to this great looking masonry heater. Distinctive granites quarried from the Adirondack Mountains and distributed all over the world.